DLC coating or Diamond-Like Carbon have exceptional properties in terms of wear resistance, abrasion, corrosion and have a very low friction coefficient (similar to Teflon). The hardness can reach 25 GPa and friction coefficient is around 0.05. They are also biocompatible. ISYTECH has developed PECVD equipments for DLC deposition offering a large range of use. ISYTECH can assist you in choosing the best treatment process adapted to your application. We realized for some of our customers, vacuum drying equipments, dedicated to their products and their applications. 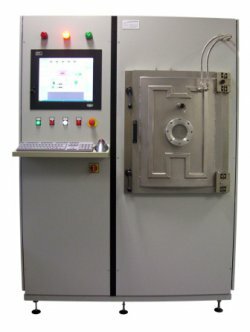 These machines include the management of the vacuum downhill kinetics, the relative humidity control, and the amount of water vapor extracted. Do not hesitate to contact us to submit your problem in this area.